Kenny was born December 14, 1937 in St. Henry to Othmar and Alma (Schwinghammer) Bolte. He married Georgiana “Georgie” Gilles on May 30, 1961 in St. Joseph Catholic Church in Evansville. Kenny was owner and operator of Bolte’s Service Center in Ferdinand for 45 years. He was also a school bus driver for 20 years. Kenny was a member of Christ the King Parish, St. Ferdinand Church. Kenny enjoyed traveling, camping, boating, swimming and spending time with friends and family on the Ohio River. 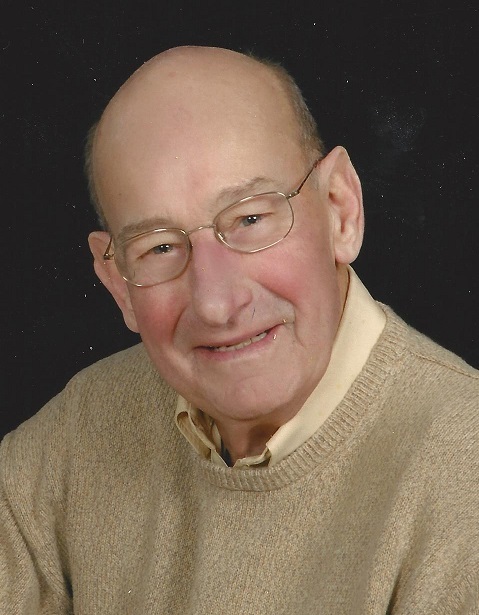 He was an avid Indiana Hoosier fan and enjoyed watching college and high school sports. Kenny is survived by his wife, Georgiana Bolte of Evansville; two sons, Kevin (Chatty) Bolte and Eric (Leslie) Bolte all of Ferdinand; three daughters, Karla (John) Buening, Gina (Scott) Schue and Jill (Shawn) Boles all of Evansville; one brother, James (Nancy) Bolte of Newburgh; one sister, Vera Eckert of Celestine; fifteen grandchildren, Gabrielle, Felicia, Sophia, Tabitha, Alex, Kraig, Chas, Conner, Evan, Samantha, Lexis, Kendall, Addison, Andrew and Anderson. Funeral services will be Wednesday at 10:30 AM in in St. Ferdinand Catholic Church with burial to follow in the church cemetery. Ferdinand American Legion Post 124 will conduct military graveside honors. Visitation will be Tuesday from 2-8:00 PM at Becher Funeral Home in Ferdinand and also on Wednesday from 7-10:00 AM at the funeral home. Memorial contributions may be made to: St. Jude’s Children’s Research Hospital at 501 St. Jude Place, Memphis, TN 38105.